Hiya Dallas! Just landed for my Meet & Greet with Nordstrom and Crosby Square. 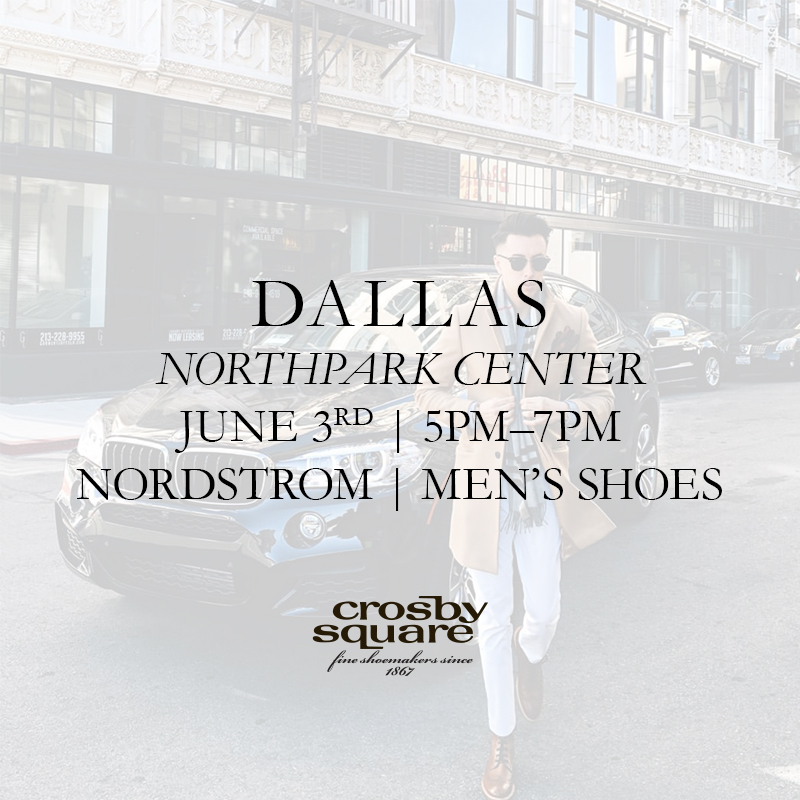 Come hang with us tomorrow at the Nordstrom in Northpark Center from 5-7 pm. Special prizes will be gifted to those who buy a pair, and we’ll be drawing gifts from a raffle as well- who knows, maybe even a pair of shoes! Cant wait to meet you all tomorrow! One Response to Hello, Dallas! I would love to come over to US to meet up with you Blake! But europe is so far from the states man..